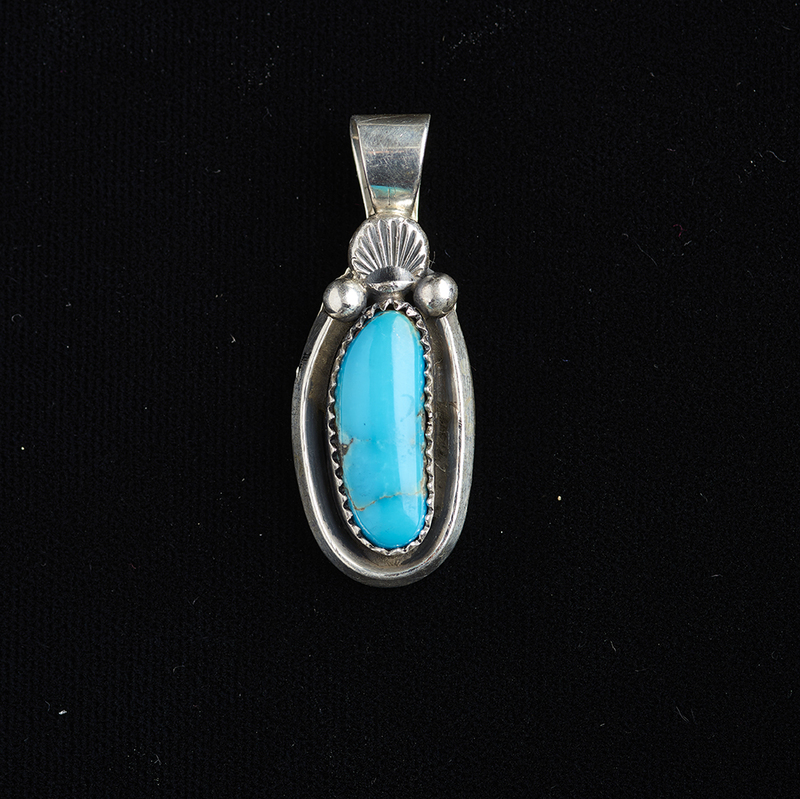 This is a Bisbee turquoise pendant with a sterling silver seashell design and silver dots on top. It is classic and traditional. Jeanette Dale is a contemporary Navajo silversmith who learned from her mother, but has developed a traditional style all her own. 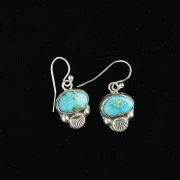 Jeanette’s pieces are recognizable for her distinctive combination of silverwork and beautiful natural stones. 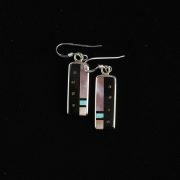 Jeanette prefers the traditional Navajo style with heavy, deep stamping and high polishes. In 1973 Jeanette was working at the Fairchild Electronics Plant in Shiprock cutting out computer chips with a diamond saw. She was the fastest cutter at the plant with the best quality work. The plant shut down that year and she lost her job. She then made the decision to become a silversmith.